The Newfoundland Regiment, initially raised in 1795, had been disbanded by the onset of the first World War. Notwithstanding this, the Dominion of Newfoundland was able to raise a full battalion of one thousand volunteers to fight for king and country from a population of 240,000 by the time they were deployed to Gallipoli in 1915. The battalion was then redeployed to the western front in March of 1916. 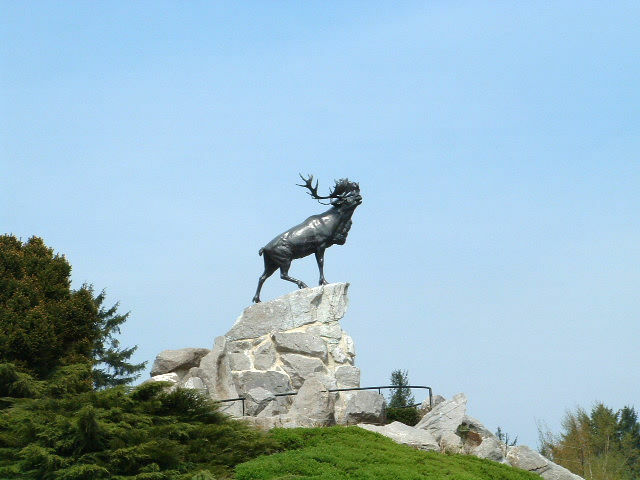 At 8:45am on July 1, 1916 during the Battle of the Somme the Newfoundland battalion was sent over the top with the 1st Battalion of the Essex Regiment at Beaumont Hamel. Within 20 minutes the battalion was destroyed. Of the 801 men sent into the mud that day only 68 reported for roll call the next day, representing greater then a 90% casualty rate. Despite this, my country Newfoundland, was able to send further volunteers to again build up the battalion to full strength within a couple of months. In April of 1917, the battalion lost a further 485 men at Monchy-le-Preux during the Battle of Arras. For the battalion's valour and sacrifice for the Empire, the Newfoundland Regiment was renamed by George V as the Royal Newfoundland Regiment in 1917. This honour was the only such one bestowed during WWI. It should be also noted that a Newfoundlander Thomas Ricketts was the youngest soldier to be awarded the Victoria Cross in WWI. I had no idea of the regiment and their exploits - thank you for that, John.. that's what today is all about... remembering..
Aussie descendants of the ANZACs know exactly of what you speak. There isn't a town in the country that doesn't have a memorial inscribed with the names of our war dead - in many there are more names on the memorials then people left in the town. Out of a population of about 5 million, we put over three-quarters of a million in uniform, sent over 500,000 overseas of which about 360,000 became casualties - nearly sixty thousand dead. The figures were very similar for New Zealand. Like your experience in Newfoundland, I don't think present generations can begin to understand the effect of such devastating losses. Thank you for a moving and thoughtful post John.